Kenny's Youtube page. Kenny's Website. Kenny's	BlueFlame Website. Several sources suggest that Kenny Hollywood was Joe Meek. 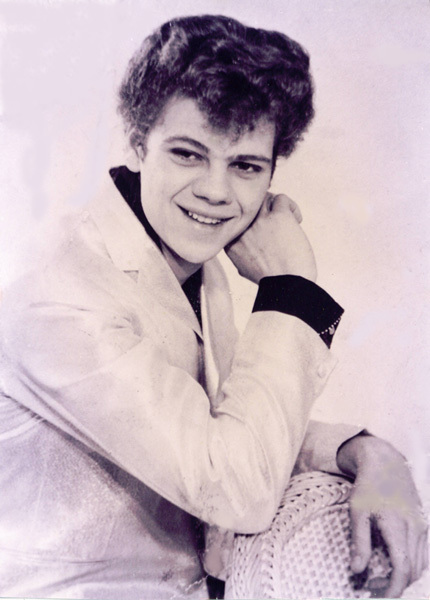 Others say that the vocalist was Marc Bolan. Coda can reveal, however, that Kenny Hollywood is Welwyn Garden City vocalist and keyboard player Kenny Plows. To see a photo of the first meeting of Roger LaVern from the Tornados with Kenny in Feb 2006 click here. 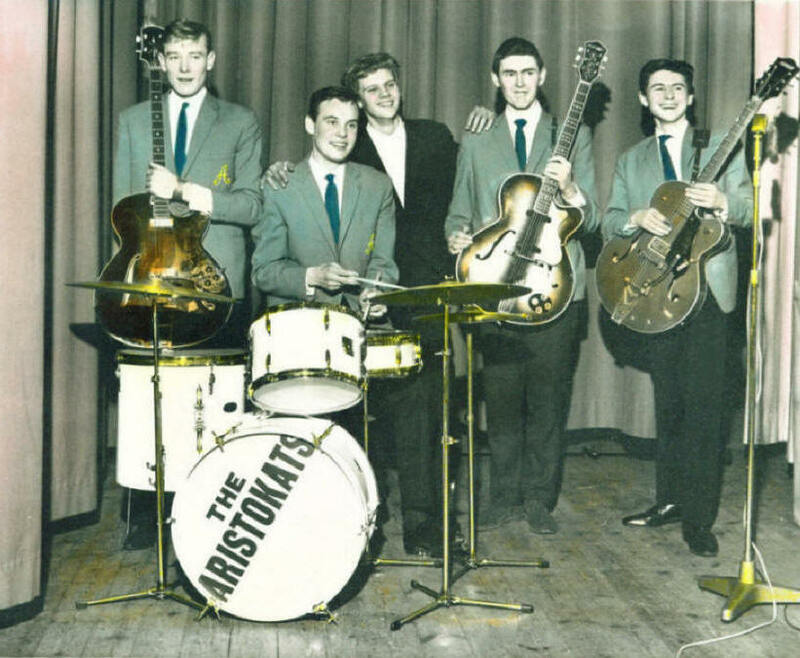 Click here to hear Kenny's recollection of working with Joe Meek in this 08 July 2013 radio interview. Kenny stopped gigging in 2004 and moved to New South Wales, Australia. Now retired, he is currently enjoying song writing and home studio recording. His new CD is titled "Uncovered". For more information visit Kenny's BlueFlame Website. 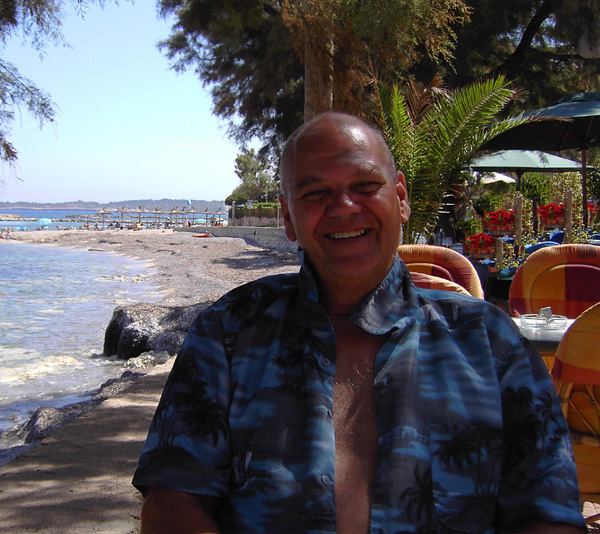 Kenny was a member of Welwyn Garden City based group 3Way Split 2008-2014 and Bumps In The Night 1994-2007. 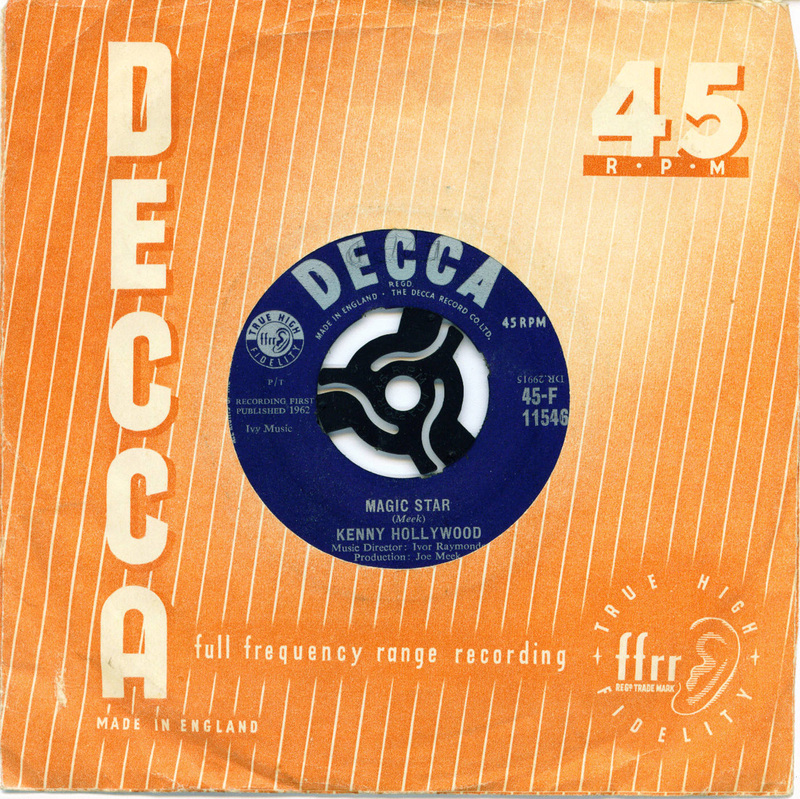 "Magic Star" by Kenny Hollywood Decca 45 RPM 7" single 45-F 11546 released in 1962 was Joe Meek's vocal version of his international hit "Telstar". Click here to listen to "Magic Star" on Youtube. 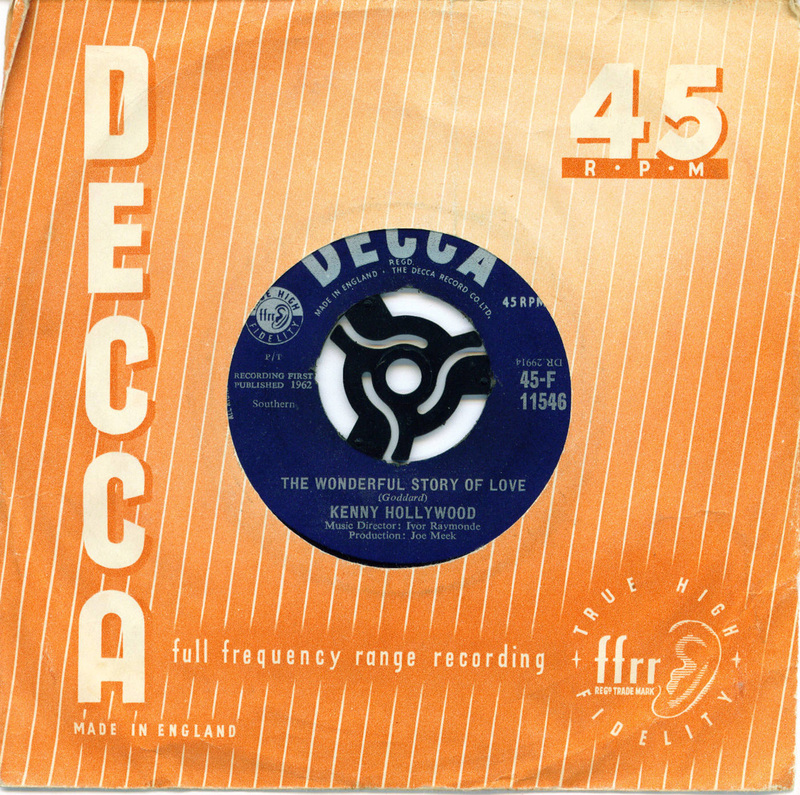 Click here to hear "Majic Star" and "The Wonderful Story Of Love"
"The Wonderful Story Of Love" by Kenny Hollywood Decca 45 RPM 7" single 45-F 11546 'b side' released in 1962. Click here to listen to "The Wonderful Story Of Love" on Youtube.